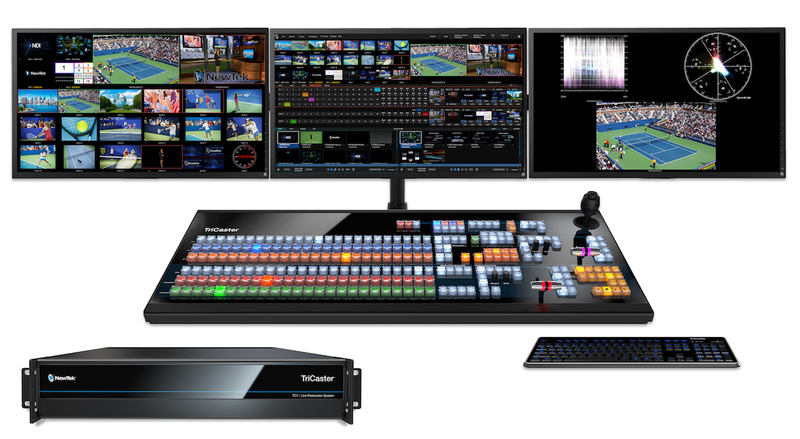 We Have All TriCaster and 3Play Models ,Mini, 410, 410 Plus, TC1, VMC and 3Play 3P1 and all other things NewTek ! The IP revolution will be televised. In the era of multi-platform media, 24/7 content cycles, and cord-cutting consumers, old-fashioned production practices and linear workflows that originated during the golden age of television simply don't cut it anymore. You need the technology to be seen when and where your viewers watch today, and the innovation to continue to capture and hold their attention tomorrow. 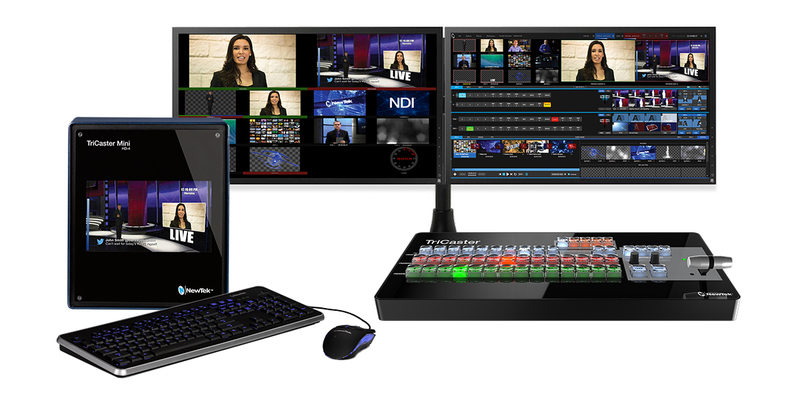 With NewTek's software-driven, interconnected production solutions in your control room, studio, or OB unit, you have the leading-edge functionality to light up screens in the here and now—and future-proof your operations for whatever comes next. For today's productions. And tomorrow's changing demands. For today's productions. And tomorrow's changing demands. 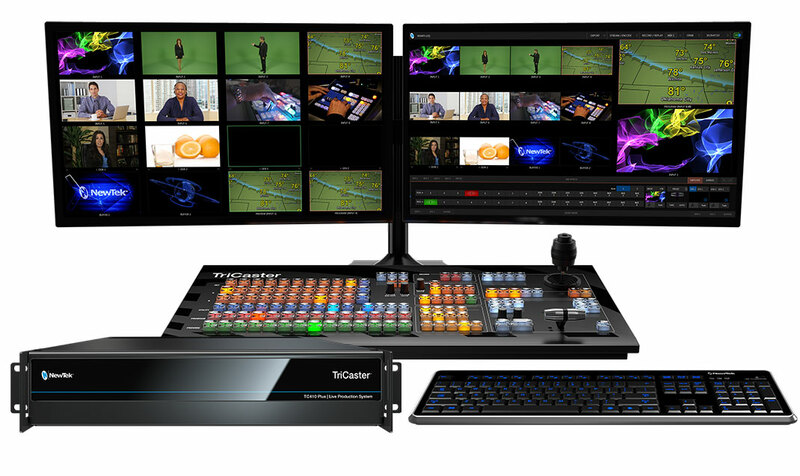 VMC merges NewTek's proven software-driven live production approach with power, efficiency, and flexibility – enabling you to create for all types of digital media programs and platforms. 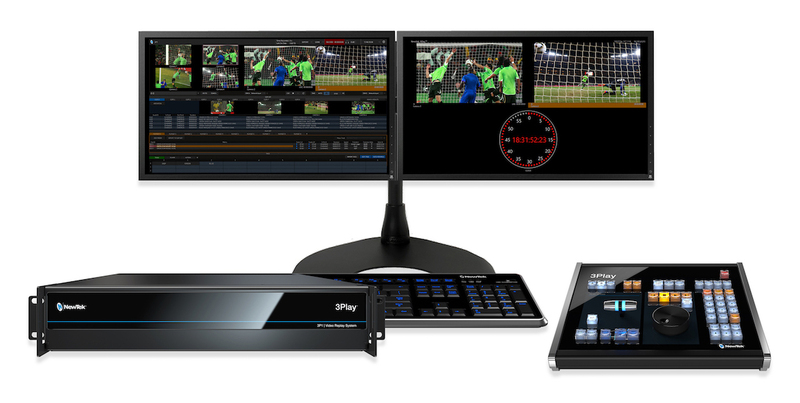 3Play 3P1 is the most complete sports production solution available, integrating multi-camera capture, instant replay, in-show highlights, and dramatic slow motion into one turnkey system. Engage in-house fans, online viewers, social media followers, and broadcast audiences with greater ease and simplicity—with incredible savings on equipment investments. You don't have to be a video expert, own a studio, or know your way around a broadcast control room to deliver your message through video with network-quality results. With an all-in-one design, do-it-yourself setup, and hundreds of entry-level and advanced production capabilities, you can be on your way to captivating audiences from anywhere within minutes of opening the box. Imagine the possibilities of a camera that can serve as a live video input for any NDI®-compatible hardware or software—from anywhere on your network. 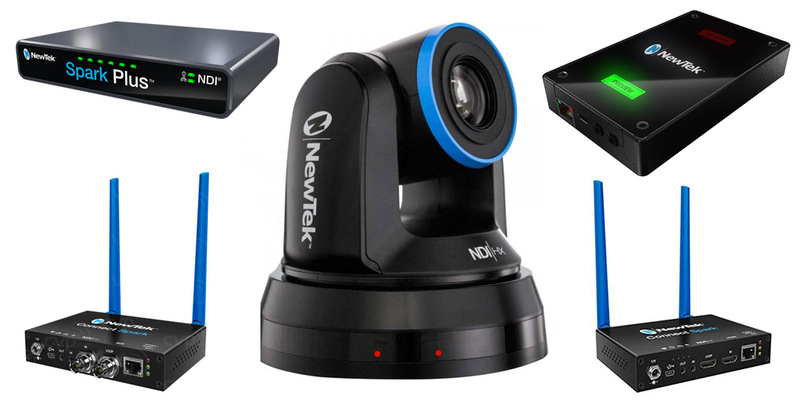 Introducing the NewTek NDI® PTZ Camera, the faster, easier, and better way to acquire live video. We have several models to choose from ! The NewTek Spark™ family of video IP converters enable you to directly connect your existing systems and devices, and have them instantly available as NDI® compatible sources on your network at resolutions up to 4K UHD 60p. IT'S THAT EASY. Models now include Spark, Spark Plus and Spark Pro, each one delivers uncompromised video and audio over IP. 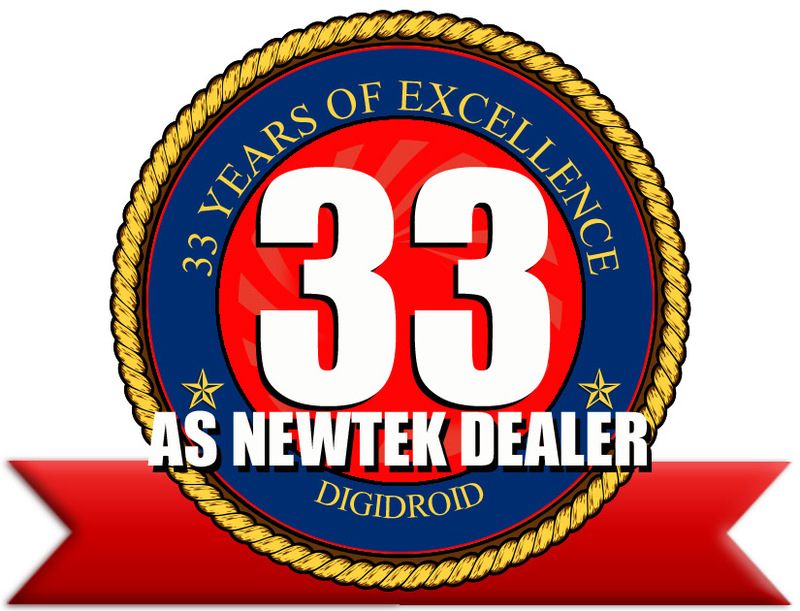 Curtis Wood is the World's only NewTek Certified Operator holding all certifications ever offered by NewTek. Face of NewTek and My Best Friend. I miss you every single day, dude.